Body Found in Restaurant after Fryer Fire | Flue Steam Inc. Disastrous commercial kitchen fire claims life of local man. On the morning of Thursday, July 31, firefighters clearing debris from the scene of Sharon’s Restaurant and Lounge in Blairsville PA made a sobering discovery: the body of 68-year-old Paul Eugene. According to witnesses, Eugene was believed to be in the bar of the restaurant at the time of the fire, which started at around 10:30 on Wednesday night. As the fire spread, neighbors tried to look for Eugene, but were prevented from finding him by the collapse of the bar’s ceiling. The morning’s discovery was a sad confirmation of what locals already suspected namely that Eugene had perished in the fire. Officials have not yet determined Eugene’s cause of death or the cause of the fire. However, restaurant owner Joe Koreini Jr said that the fire started in a fryer in the kitchen of the bar and pizza restaurant he and his wife owned and operated. They attempted to put out the fire by using fire extinguishers and then by dumping flour over the fire, but were unsuccessful. The first quickly spread, engulfing the restaurant and bar and spreading to nearby buildings. The ice cream shop next door, along with the shop owner’s home behind it and an apartment above it were also destroyed. In total five families lost their homes before firefighters were able to get the blaze under control. Efforts to locate and extinguish the last smoking embers were still going on over 12 hours after the fire. This story serves as a tragic reminder of the deadly potential that a kitchen fire can have. In this case, one can’t help but wonder if a working automatic fire suppression system couldn’t have prevented the loss of life and the loss of property. 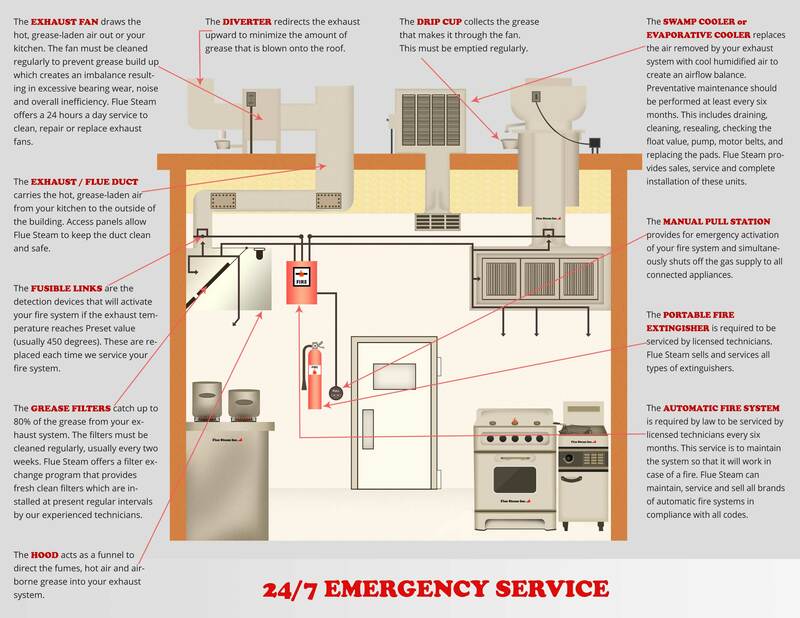 Automatic fire suppression systems are designed to automatically detect excessive temperatures in a kitchen exhaust hood. When the temperature rises above 450 degrees or so, the system will assume there is a fire and discharge an extinguishing agent to take care of the problem. If necessary, the system can also be triggered manually. The end result is that the flames are not allowed to spread up into the exhaust hood and from thence into the ductwork. It is very important to keep flames out of these areas as any greasy residue there can add fuel to the fire and result in a serious hazard. 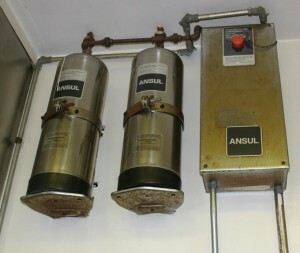 If you need help maintaining your automatic fire suppression system, don’t hesitate to call Flue Steam. We’ll help you protect your property, your guests, and your employees with expert fire prevention and suppression services.